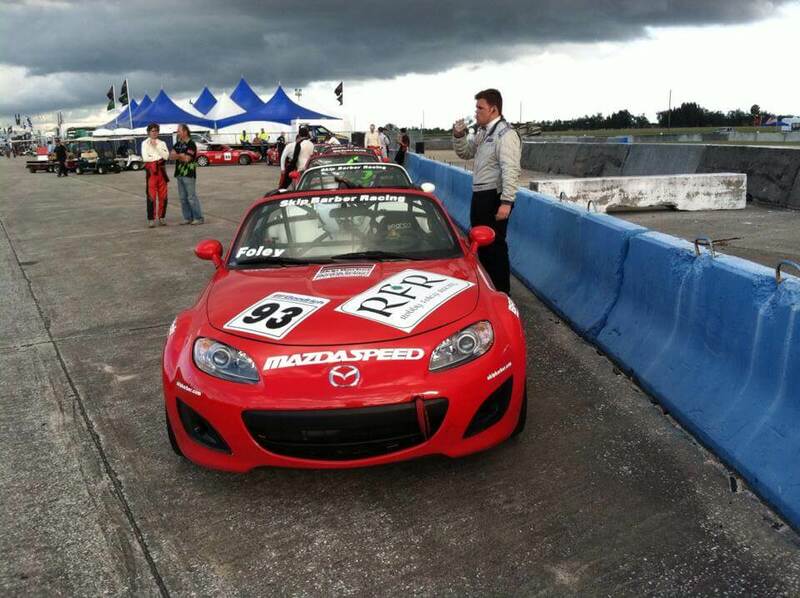 Sebring once again marked the beginning of the MX-5 Cup presented by BFGoodrich. Robby was looking forward to the week, especially because of some off season tech changes within the Skip Barber Mazdaspeed Pro Challenge Series. There is now a set minimum weight, differing from last year where the cars were ballasted to 200 pound drivers. This new minimum weight is a change Robby was looking forward to, because for the first time he would be on equal weight with the rest of the field. The week began with a test day on Tuesday. The first session the car was tested by one of the Skip Barber testers to ensure it was on par with the rest of the field. The testing process done by Skip Barber is in an effort to make the cars as equal as possible. Robby’s car had a bit of an electrical issue during when it was being tested. Then Robby went out at the end of the session and the electrical bug turned out to be the positive battery cable being loose. This resulted in the car shutting off, freaking out the abs and thus sending Robby into a spin. There was no harm done, he was just stranded in the car with no electrical power and had to be towed in. The second test was a repeat of the first with the car being tested again because of the electrical problem. When Robby went back out he ran a few laps and made some changes with the setup. Following the second test session he was confident with the car and was looking forward to the rest of the week. Wednesday would be a busy day with two official practice sessions and qualifying. The first practice was at 8 am. Robby went out and ran a few laps to build temperature in the tires then came in to make a few subtle setup changes. He then went back out and clicked of a few fast laps putting him P1 in the session by .7 sec. “The car felt really good,” said Foley. “It was really well balanced through turns 1 and 17, which is key for a quick lap around here.” The track conditions changed drastically for practice 2 with an enormous headwind and an increase in humidity. This caused times to slow down significantly, and with that in mind Robby never really ran hard, knowing that he could sit on his lap from practice 1. For qualifying Foley was lined up first in the Skippy class on the strength of his quick time from practice 1. In the opening laps of the Skip Barber qualifying Robby had to bed in new front pads and rotors while also scrubbing in new tires. Early on it was evident to Robby that the car tightened up on new tires, something he anticipated but opted not to adjust for. “I anticipated the car would tighten up a bit, but not to the extent that it did,” explained Foley. 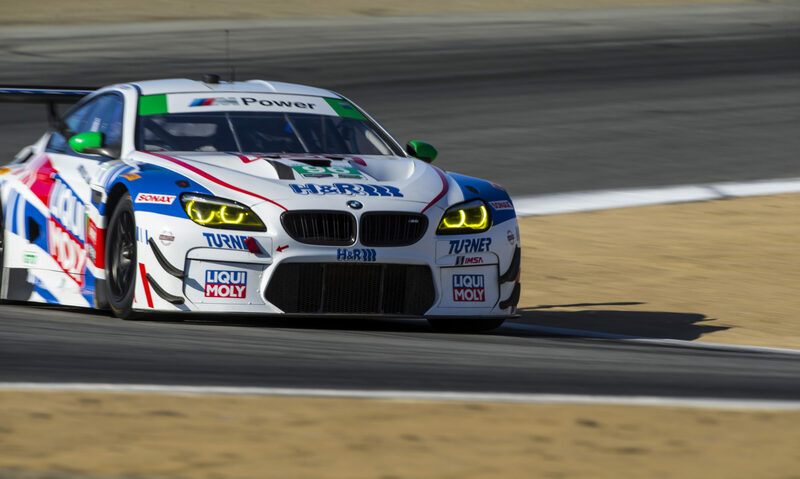 “I did relatively limited laps on the first set of tires, so I gambled and figured the car would behave similarly on the new set, and I was wrong. Robby also found it hard to get a clean lap. “With the qualifying format the way it is, the Skip Barber cars are held for 10 min while the Cup cars theoretically put down their fast times, so we are released often times into traffic making it difficult for a clean lap,” explained Robby. Because of that combination Robby was unable to match his speed from practice 1 and qualified 3rd for race 1, and 2nd for race 2. 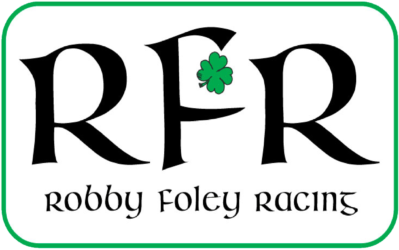 After the huge disappointment in race 1 Foley was looking to get after it in Race 2. He didn’t get a good start not being able to see the lights. That combined with a missed shift sent Robby back to P6. From the drop of the green it was apparent the car was not quite right. Robby was driving the same car as the day before with the big damage and it was evident from the hit there was a bend in the right rear suspension so small that it was unclear to the eye. Subsequently the car was a handful particularly in the high speed sections. With many long cautions Robby had to settle for another P4, again not bad considering the contact in race 1. Because Robby had led the most laps in Race 1, and led a single lap he earned two extra bonus points, giving him third place points, and on the strength of that, along with his P4 in race 2, Robby sits third in points. Robby would like to personally thank, Skip Barber, Mazda, SCCA Pro Racing, BFG, and his parents for supporting him and making it all possible! This time next week, we’ll be at @VIRNow for the next rounds of @SROAmerica World Challenge Championships: two Sprint and two SprintX races! Who's ready to see our Porsche back on track at Long Beach? Our final practice is coming up at 10AM pacific, followed by qualifying at 10:45AM. Qualifying will stream live on youtube via the link below. Let’s get this home race weekend started! We’re ready for some @GPLongBeach action! At long last, our 2019 livery is here as we preview this weekend's @SROAmerica @GPLongBeach!